Shared universes are old hat in the comic book world, and in the case of Marvel most of their mainstream comics take place within the continuity of Earth-616. This reality exists within a multiverse that consists of hundreds of known universes and potentially thousands more (incidentally, the reality we currently live in - devoid of superheroes, mutants and special powers - is Earth-1218). However, on the big screen, a shared universe has rarely been tried before - largely because keeping continuity between sharply branching movie franchises with different producers, screenwriters and directors working on each film (in addition to orchestrating huge and potentially highly impactful events for their plots) is an exhausting task. No one knows that better than Marvel Studios' President of Production, Kevin Feige, who has been a producer on almost every single Marvel movie released since 2000, and is currently in charge of orchestrating the various Earth-199999-based movies being produced alongside one another and ensuring that continuity remains consistent between them. While Twentieth Century Fox are just beginning to work toward a cohesive universe for their X-Men and Fantastic Four movies, Feige has been working with the reality of that universe for years now. Surprisingly, though, this hasn't led to as much studio interference and pressure for uniformity as you might expect. In a new interview with The Huffington Post, Feige has spoken about Iron Man 3 and its place within Marvel's cinematic universe - in particular on the subject of the director's voice and the introduction of Shane Black (Kiss Kiss, Bang Bang) in the position that was held by Jon Favreau for the two previous films. "I wanted this film to be as unique and surprising as the first 'Iron Man' film. In a way, there had already been another voice: Jon's voice, obviously, in 'Iron Man 1' and 'Iron Man 2,' which helped set the tone for all of the Marvel cinematic universe films, but Joss Whedon on 'The Avengers,' he brought his own unique voice to it. Because 'The Avengers' came between 'Iron Man 2' and 'Iron Man 3', it allowed us the liberty to take 'Iron Man 3' to another level; to dig deep into Tony's story line. To worry less about universe building and surprise you by focusing on Tony's journey." The movies within the shared Marvel universe that Feige administrates have been incredibly successful at the box office, which no doubt has a lot to do with word of mouth and the studio's good reputation. The movie franchises that met in The Avengers - comprising Thor, Iron Man, Captain America and The Incredible Hulk - have never dropped below a 57% rating on Metacritic, and have netted almost $2.3 billion at the worldwide box office. The Avengers was the highest grossing film of 2012, followed by another comic book movie - The Dark Knight Rises. 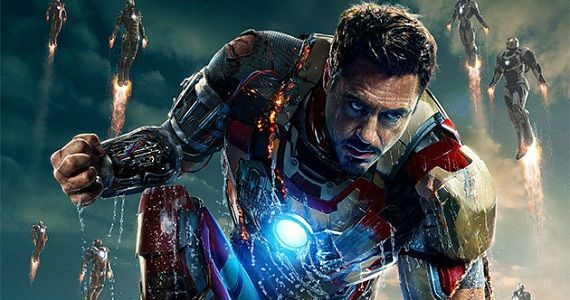 Iron Man 3 hasn't even been released domestically yet, but has already broken The Avengers' record by netting almost $200 million overseas. In short, comic book movies might be the most reliably bankable - and consistently good - subgenre in cinema currently, managing to strike the balance between appeasing fans of the source material and drawing in new audiences. Perhaps it's unsurprising that these stories are so popular. After all, who doesn't want to see a movie about a billionaire who dresses up as a bat to fight crime, or another billionaire who spends all his spare cash building metal suits that can fly him to the stratosphere, or a (sort of) god who can summon thunder and lightning, or a group of ordinary people born with extraordinary powers? "I'd like to think as we make more movies and they become more successful, there are less and less people that have never seen any of the other ones. That allows us [some leeway]; we've established our own continuity within the movies. But it's really all about what's best for the movie, one at a time. Then, also, an overarching plan that can bob and weave. But it's always making sure that we're paying the closest attention to the single movie at hand." So far so good, but Feige will face new challenges when future releases within the shared universe - Guardians of the Galaxy, Ant-Man and Doctor Strange - hit theaters over the next couple of years. Does Marvel have what it takes to make their franchise-spanning world work in the long term? We can only hope so, but in the meantime, look below for a full list of Phase Two and Phase Three Marvel movies and when you can expect to see them in theaters.